Lao Ban Soya Beancurd (老伴豆花) is one of the highest search entries of my blog. 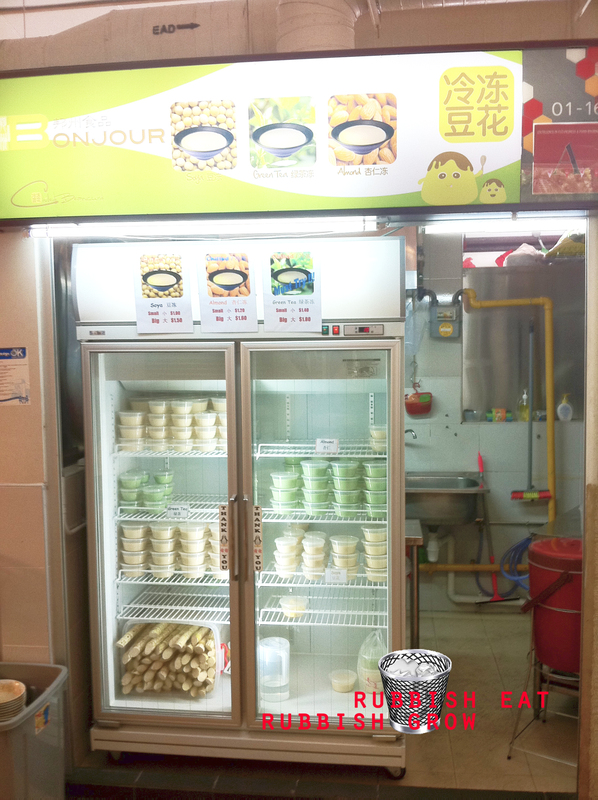 Here, I want to recommend Bonjour Soya Beancurd at Tanglin Halt. It tastes as awesome as Lao Ban Soya Beancurd minus the 30-minute queue!!! Same price, ranging from $1.20 – $2. Actually, I think the beancurd here is generally less sweet than lao ban soya beancurd and thus more healthy. I like this store better just because there isn’t a queue and it’s less sweet. There is an additional Green Tea soyabean flavor. Which is strange, and I’d stick to the original and almond flavor. We live to serve ! Our actual address is at Blk 1A Commonwealth Drive. Tanglin Halt Hawker Centre #01-16. (Not Blk 48, that is another hawker centre) . Our hawker centre is located directly Opposite Blk 64 open-air carpark. We live to serve !! Our actual address is Blk 1A Commonwealth Drive , #01-16 Singapore 141001. Do note our hawker centre is located directly opposite Blk 64 open-air carpark. (Hawker centre is designed in the shape of a hexagon). Had drop an email to your regarding out contacts. We do pre-order, and can sometimes do delievery if there is a huge order and we have the manpower to do it at that point of time (no promises though). Do give us a call at 9002-7515 / 9009-3931 if there is any enquiries or pre-orders. Ooh, might want to give this store a try. My first taste of silky Almond bean curd was with some food store in Ghim Moh food centre. Texture was very smooth and nice but taste was super sweet until I could no longer taste the bean curd. Won’t go into the attitude of the stall owner just ‘cos I asked her how sweet one of the flavours was, as I was purchasing for my mother who’s somewhat diabetic. Have been searching for a replacement which has an even better texture and where the sweetness will actually complement the dessert itself. Don’t put up with bad service! But what is the sweet n nice fragrance from? I’m sure not vanilla! Anyone know how this fragrance create from?